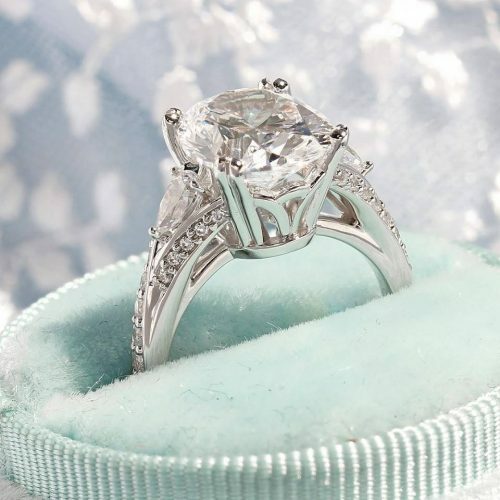 What do you call an engagement ring that represents opulence and classic, finely crafted design? The Versailles of course! 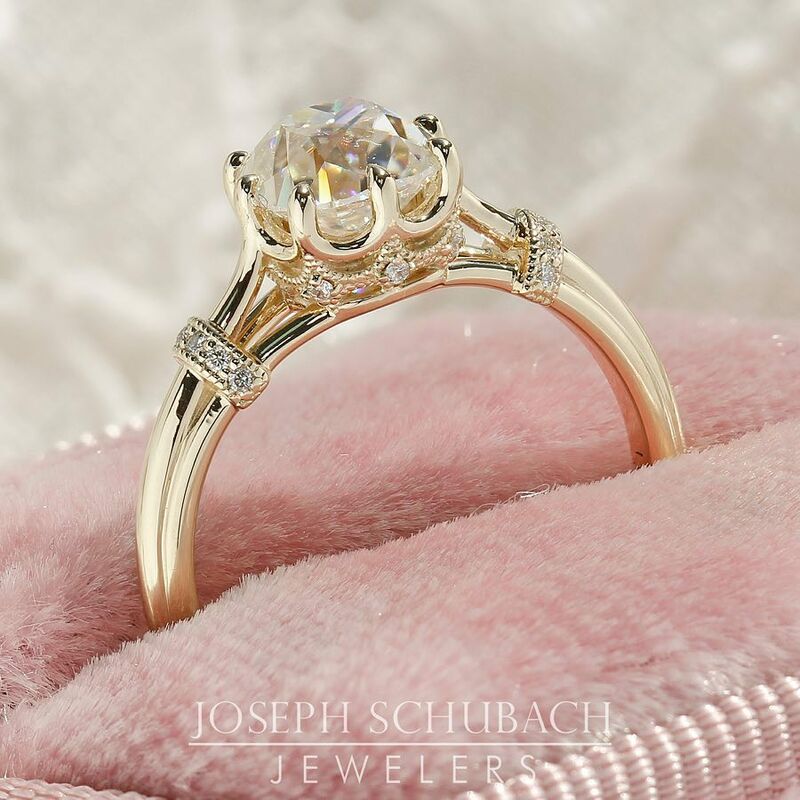 A Schubach Exclusive, the Versailles engagement ring displays a 6.5mm cushion center stone with pavé set diamonds on the band and under gallery (setting only, center stone not included). Can be made for other sizes, shapes or types of center stone, contact us for more info. Or click on the image below. 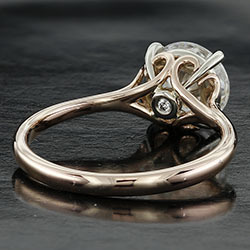 Behold our Scroll Solitaire engagement ring, a gorgeous favorite and an exclusive design of ours! Shown here in two tone rose and white gold, available in any combination of gold colors and comes with a surprise diamond under the center stone, facing your finger. 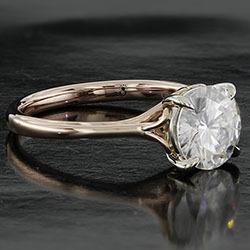 This solitaire can be made with any gemstone or diamond, including moissanite. How can we create a solitaire like this just for you? 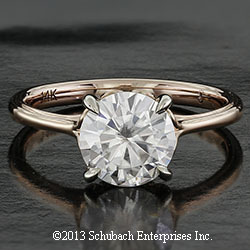 This is our Scroll Solitaire engagement ring, a gorgeous favorite and an exclusive design of ours! Contact us for additional info for help finding your center stone or for additional information/costs on setting your stone. Let’s design your dream ring! Round, emerald, princess, pear…if you’re a moissanite lover, you’re familiar with these popular gem cuts. 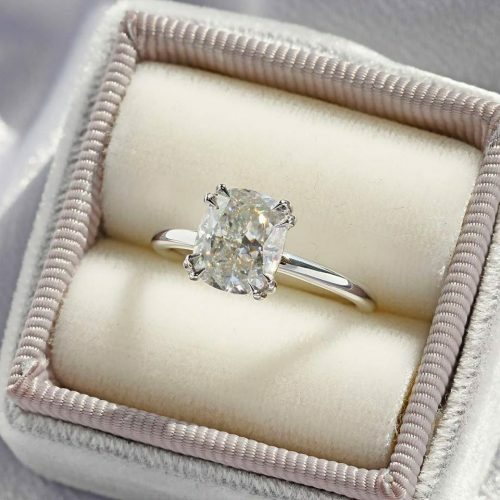 But what if there was a NEW cut–one that combines the classic beauty of a cushion cut with the elegance of an oval cut? What would you call it (other than stunning)? Above, pink moissanite in our exclusive cushal design. A cushal cut is a unique combination between a cushion cut and an oval cut. This new cut of moissanite can be used in a variety of settings. Cushal cut pink moissanite. Imagine the possibilities! The cushal cut – a new cut for a new age of custom design.